Blushing and excited, I told her… it’s a life manager. Period. I designed this as a day planner, but am quickly finding so many uses for it. 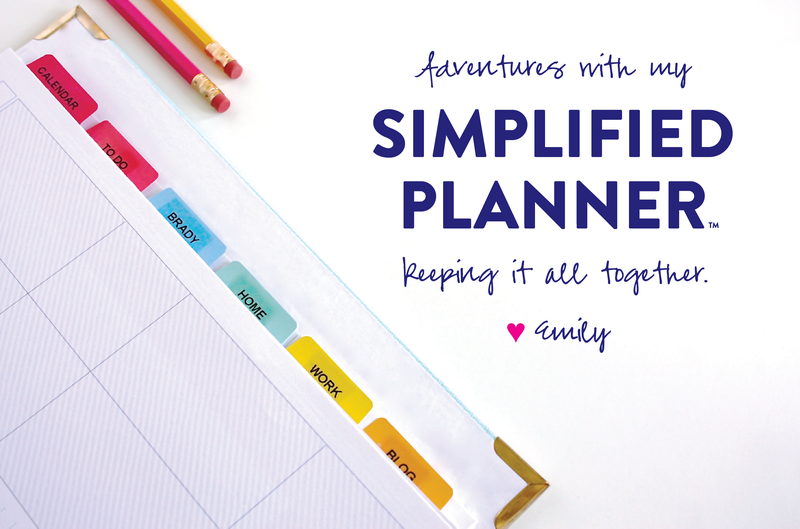 Many of you have asked exactly how I use my Simplified Planner™, so here goes! EVERYTHING goes in. Everything. It’s designed so that you can punch holes in whatever you need to keep together and pop it right in. No more loose papers. No more receipts I can’t find. No more ideas for Brady’s second birthday party floating around in random drawers, underneath my keyboard and folded at the bottom of my purse/diaper bag (oh yes, we’re already planning). No more Bed Bath and Beyond coupons on the refrigerator. No more lost LOFT coupons that I kick myself for forgetting when I’m at the mall and NEED those mint green pants. 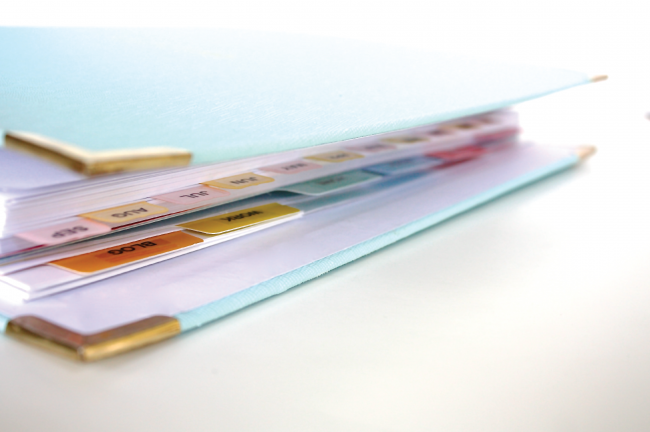 Inside my Simplified Planner™ you’ll find my sales tax submission papers (because I ALWAYS lose them). You’ll find postage stamps and envelopes for quick note writing. You’ll find reminders for Brady’s check-ups, bills to pay and recipes to try. Weekly Calendar Pages: I love that they’re Mon – Sun so that I get a glimpse of my weeks and weekends all together. The days are segmented into AM, Lunch, PM and Dinner (perfect for meal planning and exactly how I think about my day). Dividers: I used clear label tape and my DYMO LetraTag label maker to name the six things I’d be keeping track of in my Simplified Planner™: Calendar, To-Do, Brady, Home, Work and Blog. More on these sections later. Journal Pages: I split these pages among the sections for note taking, list making and general brain-dumping. Pocket Pages: I keep these at the back of my planner and use them as a catch all for all kinds of things. Zipper Pocket: Coming soon! These hold my paper clips, washi tape and Le Pens <— best pen ever for the Simplified Planner™! Coming to the shop soon! Gold Paper Clips: My friend Amy of Lily and Bliss had a genius idea. She clips coupons to the weeks they’ll be expiring within her planner. Easy to find – hard to forget. AWESOME IDEA! Binder Bands: Also coming soon! Calendar: This section holds my Weekly Calendar pages. That’s it. I keep it at the front because I use it the most. To-Do: This section holds a few Journal Pages. I keep a running to-do list here. 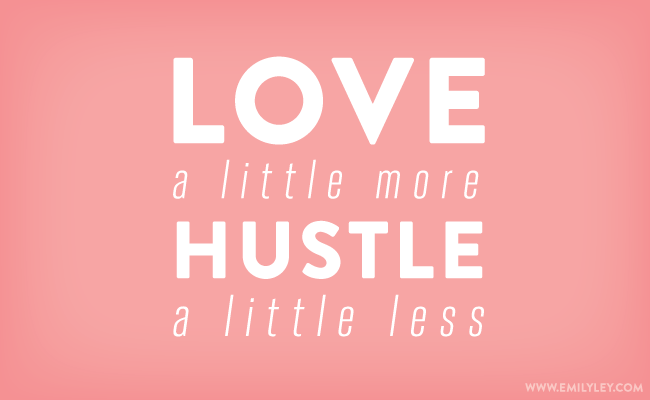 I cross things off as a get them done but it’s SO GREAT and easy to have just ONE to-do list in ONE place. No more lists floating around everywhere (on my phone, on my computer, in my planner)… they’re all right here. I dump all my ideas here too so that my brain isn’t constantly running with thoughts and I can focus on what matters. Brady: This section mostly holds second birthday party ideas right now. I also keep ideas for fun activities to do with him and cool events coming up in Tampa he might enjoy. Home: When we remodeled our kitchen, I kept all of our contracts, ideas, sources, etc here. Blog: I use our free printables for Blog Ideas and Blog Calendar here. All my blog topic ideas get dumped into this idea sheet, then moved to the Weekly Calendar pages so that I don’t forget! Check back next week in the shop for some of our new accessories! I’ve LOVED seeing how all of you are using your Simplified Planner™ to keep your lives together. I can’t wait to hear more! Go to hashtag #SimplifiedPlanner on Instagram to see all kinds of photos of how our customers are simplifying their lives to focus on what matters most. 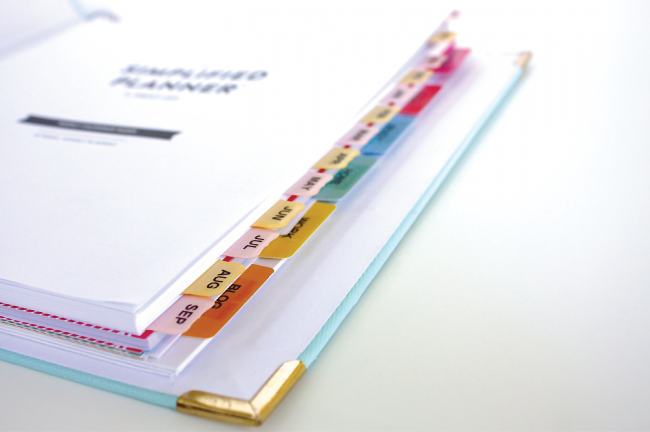 PS: Don’t forget, the 10% off Simplified Planner™ sale ends TOMORROW! Use code GETSIMPLE10. PPS: Have you entered to win one of our TWO Making Things Happen Scholarships? We leave in 9 days for Austin, Phoenix, Los Angeles, Chicago and Atlanta!! PPPS: Thank you so much to Val Woerner of Val Marie Paper for her sweet interview / feature with yours truly on her blog today! !